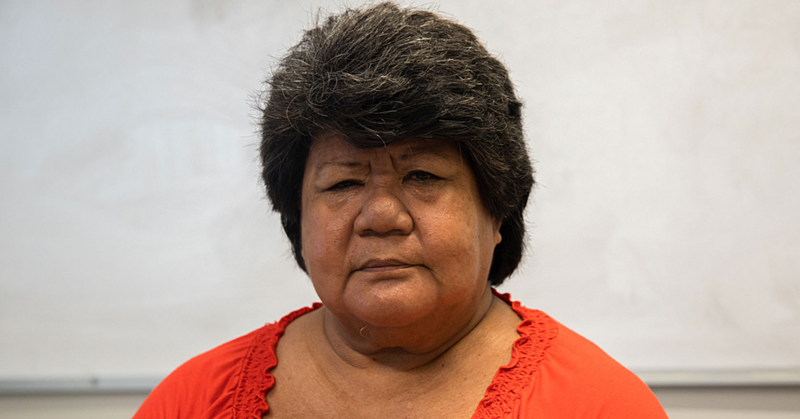 A Muslim, who is a regular visitor to Samoa, says not all Muslims are terrorists. Mustenser Qamar, who has spoken about the false allegations against his faith in numerous letters to the editor, made the comment in response to recent calls for Samoa to ban Islam. 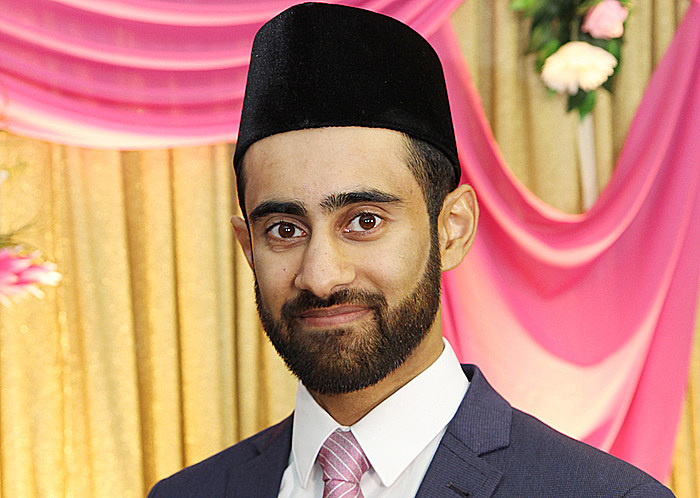 As a practicing Ahmadi Imam, Mr. Qamar graduated in Islamic Theology and Comparative Religions in the United Kingdom. There, he also attended as a regular panellist in a live TV show called “Beacon of Truth”, where Mustenser did away with prejudices of his faith and theology in general. With almost three thousand followers on his Twitter account, Mr. Qamar never tires to clarify the misconceptions made about his religion. “Over 99% of Muslims worldwide have nothing to do with the extremist groups and condemn their actions,” he told the Samoa Observer. “In fact, Muslims themselves are the target of their bigotry and are fleeing to other parts of the world to find refuge and escape these violent terrorists. As a solution for this unfortunate problem that displays so many people in an unfavourable light, he adds that “Islam is not the threat, rather it is extremist ideology and bigotry which is the root cause of the problem. Whether that be bigotry from these so-called Muslims or bigots of any or no faith, we need to unite against this and together work towards a solution. Further bigotry and isolation is not the solution”. 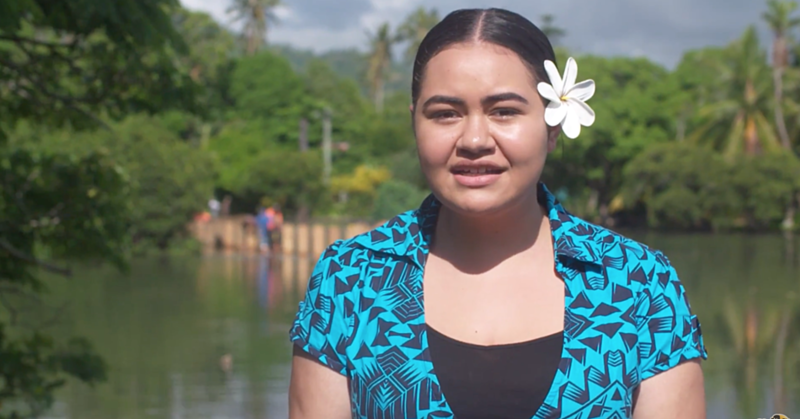 Having heard of the recent talks about Islam being a threat for the people of Samoa, Mustenser Qamar, who is a frequent visitor of the country, does not feel offended, but rather worried. “[these] ideas seem to deviate from the peaceful and loving teaching of Jesus (may peace be on him). Religion is a matter of the heart and once again I would like to reiterate that no Religion teaches hatred and violence. Our religion is gravely misunderstood and verses and incidents are taken out of context. I have studied Islam in depth and would welcome a discussion to prove that Islam is actually a peaceful religion”. 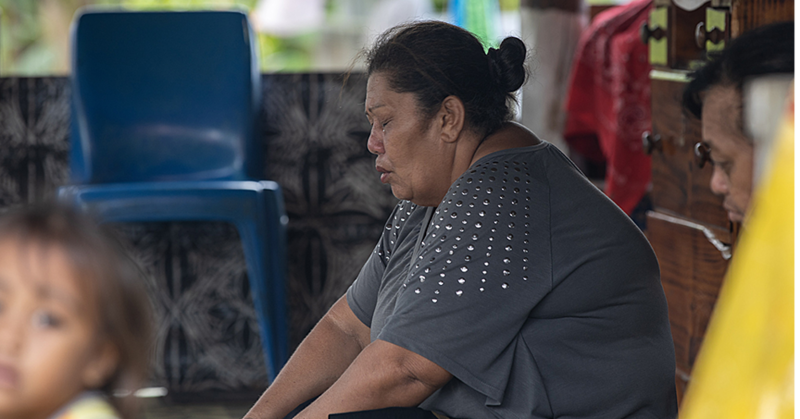 In this issue, he also addresses the Heads of Churches of Samoa. The dispute was started by Secretary General of the National Council of Churches, Reverend Ma’auga Motu, who spoke out against Islam in the country. In fact, Mustenser Qamar does point out that the spiritual messages of Islam and Christianity are not at all so different from each other as one might expect. “We believe that God sends prophets into the world to guide mankind and remind them to love and worship God and stay away from the evils of the world. From the time of Adam, God Almighty has sent many prophets into the world including the Biblical prophets such as Noah, Abraham, Moses etc. “This belief coincides with the Christian belief. The only difference would be that we believe Jesus Christ to be a very dear and loved prophet of God. We believe that according to Biblical prophecies and the need of the time, God Almighty sent the Prophet Muhammad (peace be on him) in the 6th century and continues to guide humanity to turn towards Him alone”, he summarised the beliefs of Islam. When being asked about the recent acts of terrorism which shook the foundations of peace in the heart of Europe, Mustenser Qamar does once again point out that every Muslim on the planet should find out which actions should be taken to fight these crimes against humanity. “This is a very important question; a question every Muslim should ask themselves. Atrocities are being committed in the world and unfortunately, some of these are being committed in the name of my beloved religion and my beloved prophet. But the fight against terrorism does not end with articles alone. As Mustenser explains, for him, education is the key to fight any form of extremism. According to Mustenser Qamar, in the UK alone the Ahmadiyya Muslim Youth Association of the UK raised over £400,000 [Over $1.5 million Tala] for different UK charities including Cancer Research and British Red Cross. “Likewise, in the US, NZ, Australia and all around the world our youth are engaged in similar activities. We also distribute peace pamphlets around the world to dispel the negative image of Islam portrayed in the media. In 2014 I myself took part in a special initiative in Spain and was one of 21 people who volunteered their time to distribute almost 300,000 peace leaflets to fight the negative image of our faith”, as Mr Qamar explained. The fight against extremism is also joined by the Khalifa of Islam, who functions as the religion’s worldwide spiritual leader: “[The Khalifa] has addressed world leaders through letters and speeches. He spoke at Capitol Hill, the EU Parliament and even in our nearby New Zealand Parliament regarding the truly peaceful message of Islam”. With more than 1.6 billion members worldwide, Islam is the second biggest religious community in the world after Christianity. It is up each and every one to rethink if it is appropriate to judge about all of these people because a particularly small number of them is using the name of Islam to spread a message of fear in the world.